I'm also a huge fan of Clarissa Wei, Chinese American food blogger and freelance journalist. So, I was blown away when both Yong and Clarissa popped up in this CCTV America segment on Chinese culture and heritage that aired in February. While Yong and Clarissa only had enough time to cover the topic of Chinese food as cultural identity in broad strokes, they did a really fine job of condensing a complicated discussion into digestible tidbits. I highly recommend both. Also, please check out Clarissa's website, ClarissaWei.com. Tacolandia 2016 Exclusive Pre-Sale Code! That magical, lime and chili infused wonderland where Taco Spirit Guide Bill Esparza leads me on a kaleidoscopically gluttonous dreamwalk. Of the 7 major events in my annual epicurean cycle; Thanksgiving, Christmas, Chinese New Year, 626 Night Market, Irvine Global Village Festival, LA Weekly's Burger and Beer, and LA Weekly's Tacolandia, Tacolandia is King. GENERAL ADMISSION tickets to LA Weekly's fourth annual Tacolandia are $40 and include entry into the event, entertainment, access to the cash bars, and tacos from over 100 vendors curated by Bill Esparza. VIP ADMISSION tickets are $60 and add a VIP gift bag, access via a VIP entrance, and access to an exclusive VIP lounge with its own bar! Tickets go on sale Monday, March 14th, 2016. However, Chubbypanda.com readers can use our exclusive TACOPANDA presale code at Ticketfly.com to start buying your tickets on Tuesday, March 8th, 2016. Tickets, especially for VIP ADMISSION, go quickly every year. 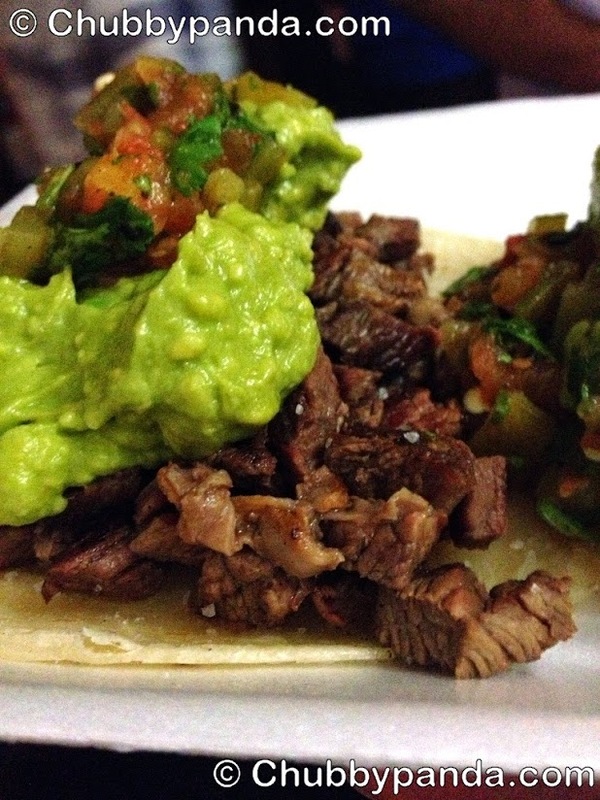 A full list of Tacolandia participants can be found HERE. This year's charity beneficiaries are the El Pueblo Park Association (EPP) and Food Forward. El Pueblo Park Association (EPPA) was founded in 1982 to foster public interest in, and good will for, El Pueblo de Los Angeles Historical Monument (El Pueblo). They are a volunteer group dedicated to promoting the historic plaza and its historic buildings. In addition, they are devoted to expanding El Pueblo’s use as an educational and cultural facility by: raising funds for the restoration, conservation and promotion of El Pueblo as a unique gathering place for the celebration of the historical and multicultural heritage of Los Angeles and sponsoring exhibitions and special events at El Pueblo. Food Forward rescues fresh local produce that would otherwise go to waste, connecting this abundance with people in need, and inspiring others to do the same. HARVEST FOOD • FIGHT HUNGER • BUILD COMMUNITY They are a volunteer-powered group of Southern Californians who are passionate about making change around hunger in our community. Food Forward convenes at private properties, public spaces, and farmers and wholesale markets to recover excess fruits and vegetables, donating 100% to local direct-service agencies who feed our community’s most vulnerable. Combined, theirr diverse distribution partners provide food to over 100,000 clients a month across Southern California. Don't miss out! Get your tickets before the rest of the taco-loving public at Ticketfly TODAY. Use our exclusive TACOPANDA promo code to unlock the tickets. Tickets go on sale to the general public next Monday, March 14th, 2016. Tacolandia 2016 - Saturday, June 11th from 3 to 7 p.m. at El Pueblo de Los Angeles in DTLA.